Experience the natural taste of the fruits with our highly nutritious and delectable Mixed Fruit Jam . 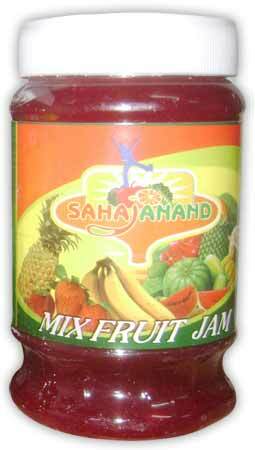 We have carved a niche as one of the leading Natural Fruit Jam Manufacturers and Suppliers in India. Our fruit jams are available in various flavors to meet the taste of the different clients. Delicious in taste, our range of Fresh Fruit Jam is hygienically processed using fresh fruits, sugar, added flavor, color etc. Safe to use and easy to consume, our mixed fruit jam is not contaminated from any kind of harmful material. We provide mixed fruit jam at very moderate price to suit the budget of all.